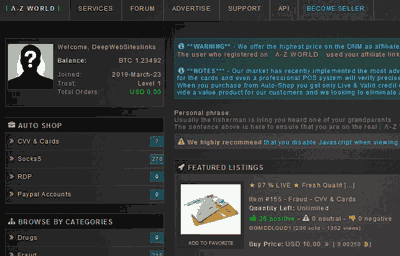 Deep Web Search Engine: Our Today’s article is about which most of the people reading this might never have been heard before. We are going to through light on Deep Web Search. We are going to clear many of the basic concepts, logics and ideas related to Deep Web Search and Deep Web Search engines from what, how to why? 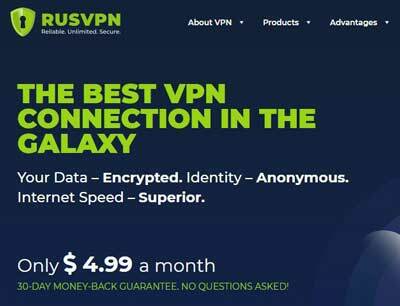 Recently, I shared about deep web links and best VPN services in depth. 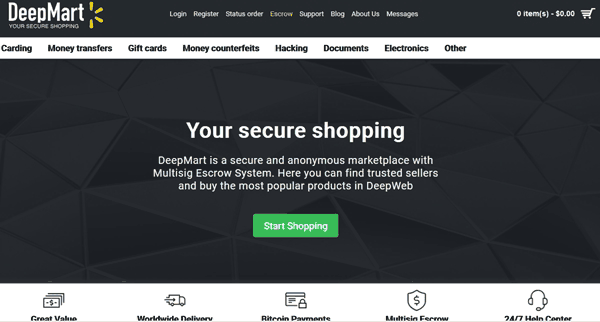 What is Deep Web or Dark Web? Deep Web Simply Refers to: The content available on the Internet or the World Wide Web which is not usually indexed by the traditional search engines. This sometimes also refers to as Dark Web. 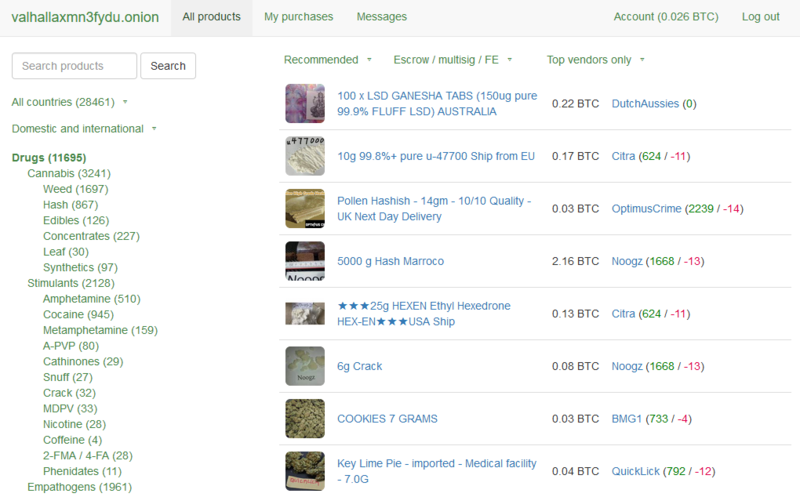 But Dark Web is a completely different chapter. There may be many reasons why traditional search engines might not prefer to index such type of content. 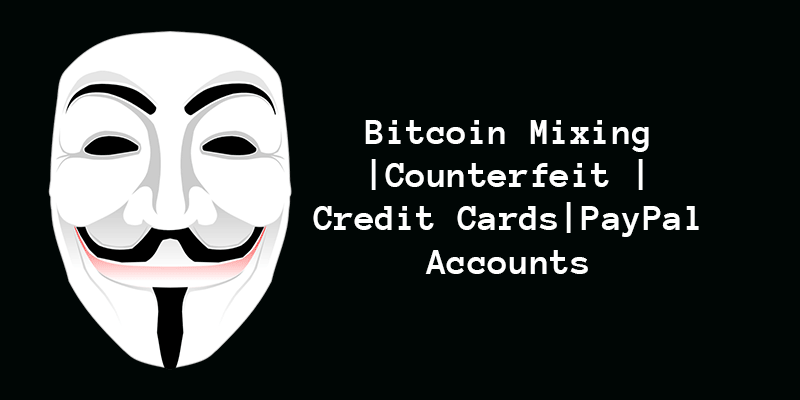 One more thing about the Deep Web Search is that it also means to browse the web anonymously. What is Deep Web Search? When we search about something on any search engine, it simply displays up a few results consisting of about 10 links and we found at least one link to satisfy our searched term most of the times. This is call as simple searching or we may web surfing. This way we are simply surfing over the web pages using a traditional search engine. But what is exactly meant by Deep Web Search? To explain this, we are going to take help of illustrative examples. We use the Internet, means the Web to explore, learn and find a lot of things. These things include the information gathering, photos and videos gathering, documents gathering etc. When one make use of Internet to find anything, there are two type of methods that may be used under our today’s scenario. The very first method is to find the relevant information by searching through the Search Engine like Google and then afterwards surfing the web in simple way. The next method is the Deep Web Search which is not known to most of us. Deep Web Search is to browse the web in an advance way to find a kind of hidden information or any other kind of data which we cannot found by simply browsing the web using the search engines. I may also be said that Deep Web means to explore the hidden Internet. Most of the people think that using a search engine like Google, they may find some relevant information and hence also got satisfied but actually, they don’t know the Internet is not just limited to it. 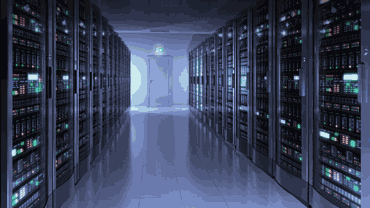 Sometimes, we come across some websites which are itself a search engine such as the collection database sites. Now coming to understand the meaning of Deep Web from the words itself. The word “Deep” clears and exclaims as the web which is deeply hidden in the depths of web. There may be a lot of reasons why search engines do not index these kind of information in the search engine. 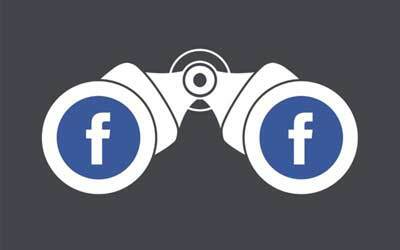 There might be the factors like the owners of the deep web content may not like to display up their content publically via the search engines and so on more. Anyhow, we are going to learn now about Deep Web Search Engine in Detail. If you have read the above-given explanation carefully, then you will be able to answer to his question yourself. Am I right? There are also different types of Deep Web Search Engines to research or simply search about different type of contents. Some Deep Web Search engines are meant to simply found the deep web textual content and some to find deep web media content. According to some source, the size and the volume of content of the Deep Web is much more than the normal web which browse in general from day to day. But why we are unable to find this kind of web information? The simple answer it is deeply packed, protected or even hacked. Why Deep Web is Not Indexed by Traditional Search Engines? Some of the more reasons why Traditional Search Engines do not index these type of Deep Web Search content are described below, hence we have described some of the properties of the Deep Web Search Engines. These Deep Web resources may contain complex databases which are not easily understood by the Search Engine bots and thus not indexed also. Such Non-Indexed Content may include Contextual Web, Dynamic Content, Limited Access Content, Non-HTML Content, Private Web Content, Software, Archives etc. Coming a little out from the world of Deep Web Search Engine, and reviewing the Deep Web Search. There is no any such thing that a Deep Web Search Engine is necessary to browse the Deep Web but it the only Best option to browse the Deep Web. 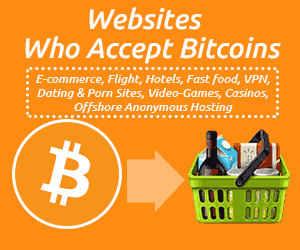 We can also browse the Deep Web using a lot of other ways or methods. In other words, we may say that Deep Web Search Engines are one of the Best options to choose to search the Web Deeply. As there are hundreds of Deep Web Search Engines, I am going to list and describe in detail only a few so that you can have a complete idea of how Deep Web Search Engines works? How are they different from just surfing the web using Google, Bing, Yahoo etc. To find data in various formats. To explore the history of Information Technology and the Internet World. To know about the conclusions of various researched done over time. To know and research about the regional data and the statics released by various organizations. To explore about the deep contents such as the libraries of the World. And Deep Web Search Engines may be used in many other ways. 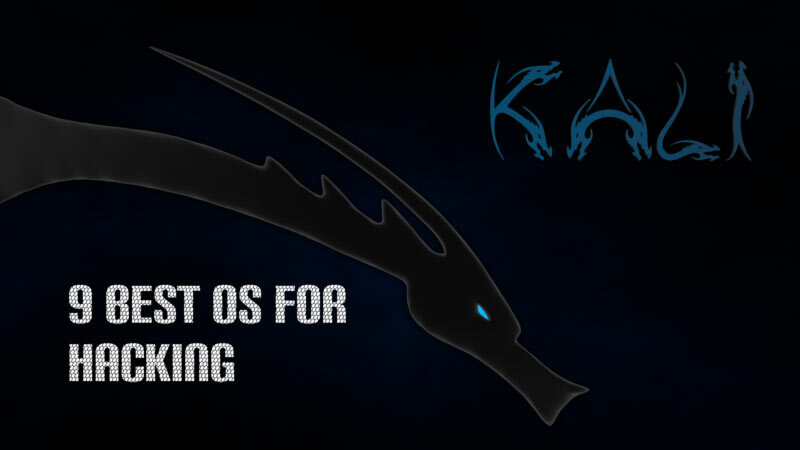 Here is the list of 5 Deep Web Search Engines which I’ve found after a lot of research as the Best 10 to mention here. Each of these Deep Web Search Engine and are unique in its kind and are the collection of the tremendous amount of data. 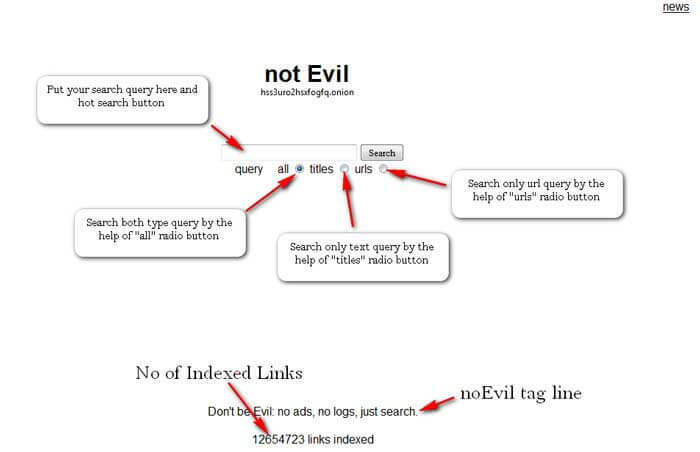 notEvil is the biggest search engine on the deep web that’s why I put this search engine on top position in Deep web search engine list, This search engine provides all type search result by the help of Query or URL, means if you having query and want to find result related to your query then notEvil can help you. 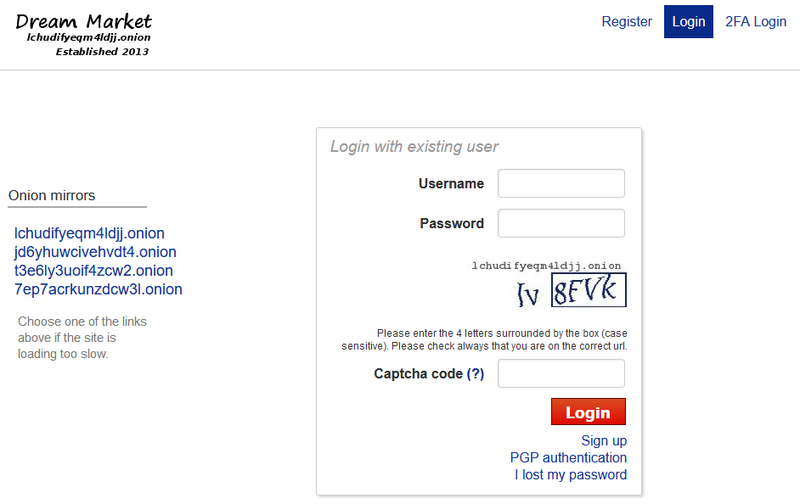 notEvil also can search by the help url, and can find your result very quick. 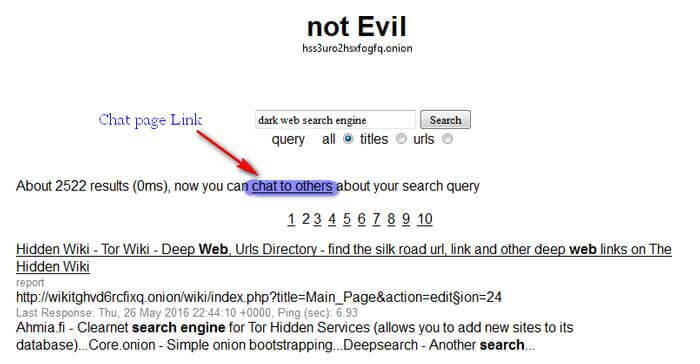 Tagline of notEvil deep web search engine: Don’t be Evil: no ads, no logs, just search. One more thing when you will search any query on this search engine, and you not found any good result, then this search engine chat service can help you. 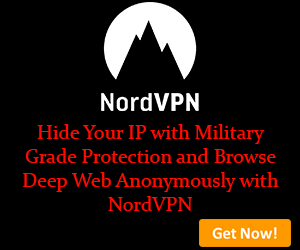 How to search by notEvil dark web search engine? First of all select any one resources by which you want to search on notEvil search engine, I means any query or url, If you select any one then type on search engine text box and select your search term relevant option means if you type url into text box then select url radio button or if you type query then select titles. Not: Here recommended option is all. After searched your query, when you got result on your tor browsers display, you can see one line after search engine text. Here one link is available on “chat to others” text, hit this link and holla new notEvil anonymous chat box is open front of you. Now time for next search engine from deep web search engine list , here I am sharing Torch search engine, Here I am giving this place for torch because every day lot of people use torch for dark net links searching. Same as notEvil this search engine also having very easy layout, only having one text box for searching one button. Here you only need put your query on search engine box and hit search button, holla result on front of your eyes. Torch is working just like as Google search engine, when you searched any query the you will got good no or result like as bellow given screenshot. Ahmia is another top deep web search engine, which deep web users likes to find his required results, I also used Ahmia many time for search. Same as other deep web search engine, Ahmia also offering query searching service, means put your query into search text box and press search button and get result. I love ahmia search engine because this is offering some great services, like Ahmia viewer, add .onion links into Ahmia database, I2P Seraching. Ahmia automatically detect bad .onion links and blacklisted into his database, and also maintain his most link visit charts which you can see by the help of http://msydqstlz2kzerdg.onion/stats/viewer links. 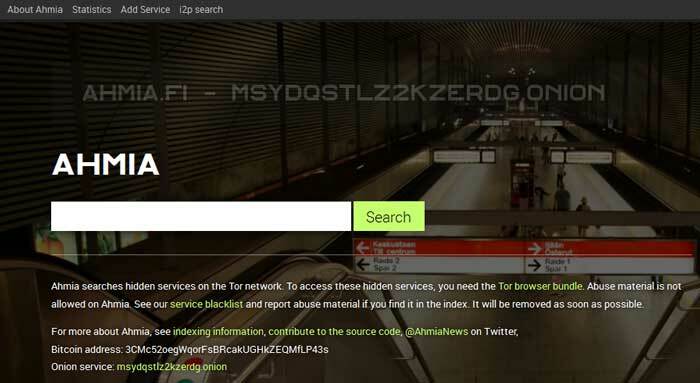 How to add .onion deep web sites into Ahmia search database? If you are the owner of any deep web sites and want to submit your websites into Ahmia search database then it’s so simple go to on top navigation option and click on “Add Service” link. Put your .onion site links into available text box then press “add” button. If you want to search query with I2P network then this service can help you, put your query and get your result. 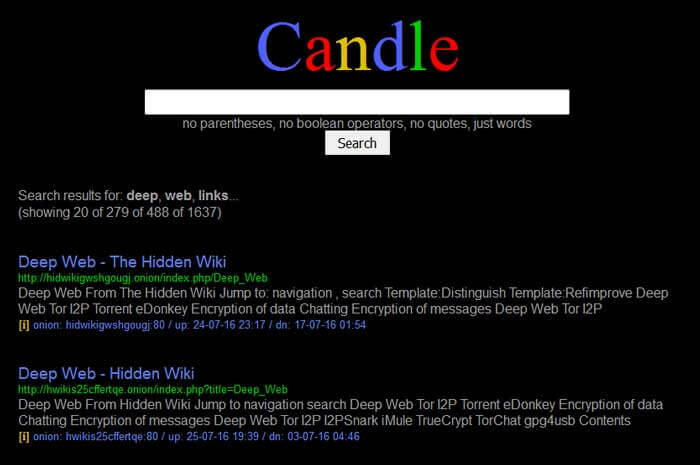 Candle is another alternative for deep web search engine; this is also popular into deep web community, everyday people use this search engine, I also try this search engine many time for deep web searching. Candle search engine does not allow parentheses, boolean operators; any type quotes into search query, if you put any of these types things into search query, then you wouldn’t get required results. Only you can try simple words, For Example, Today I am searching query “deep web links” then I put my query into search box then hit enter, now I am getting some results on my computer screen, but result have only those type sites which have .onion extension domain. 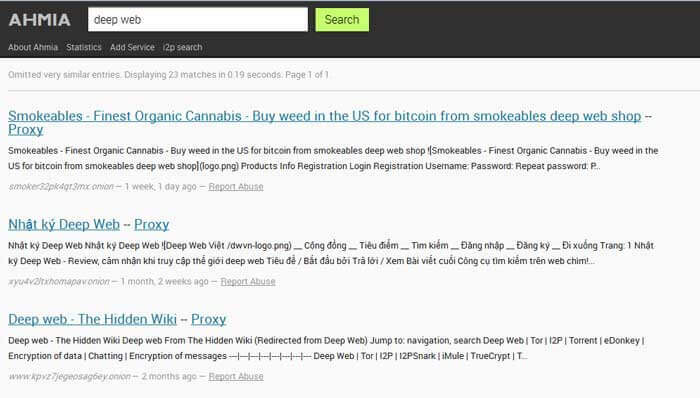 Searx is another alternative search engine for deep web, This search engine also working on free information, if you search here anything then Searx not maintain your log file. This is simple means no one can trace your all activity which you will perform on Searx search engine, Here you can search anything which you want. One thing is very good in Searx, This search engine is open source seach engine, you can modify Searx source code according to you and also you can participate in search engine functions enhance program. How to Searx search engine works? Searx search engine is a great program which collects data from multiple popular search engine like Google, Bing, Yahoo. But here I saw one common thing if any website have high ranking into multiple search engine then searx give top position into search result. Note: Searx search engine is not able to search .onion domain sites. If you try to search anything about .onion sites related then you can not get required result. Searx search engine offer one great feature which is file related search, you can select any file related option which type results you want to get. For Example Today you want to watch video then select video option and put your query into search box, and press enter then result. Maybe this was the very first Deep Web Search Engine, I ever found. And also is the top of the most useful websites ever available on the Internet. According to them, they are the non-profit library of millions of this like books, movies, software, music etc. As mentioned on their homepage, they have about 466 billion web pages saved in their database. They have the screenshot of almost every website ever visited on the Internet. You can just image how big this database. Owing to its bigness, how precious and valuable it is. On this search engine, you can know how different websites, which are now touching the heights of the Internet were actually looks like when they were in the starting days. You can see how Google looks when it was started. You can see how Bing looks when it was started. Similarly, you can see almost each and every site’s history webpages. This feature of this ultimate search engine is popularly known as the WayBackMachine, which may took you to the olden times of the Internet. Moreover, you can search a lot of more things using this Deep Web Search Database or Deep Web Search Engine. This is also a Deep Web Search Engine with a very much vast Database. You can browse through a lot of categories which includes Agriculture, Information and Libraries, Computing and Computer Science, Regional Studies and much more. This is also one of the oldest deep web search engine on the Internet. 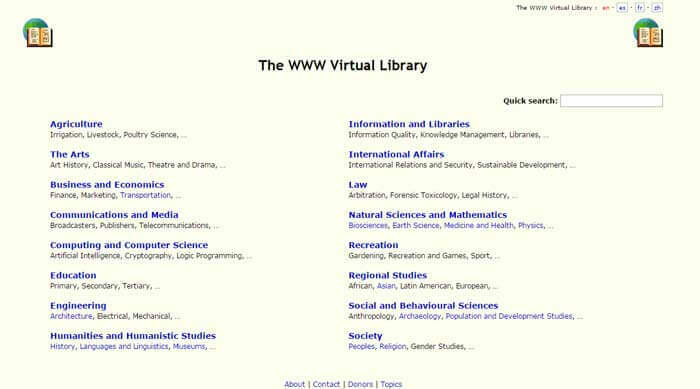 So, let us quickly make use of the WWW Virtual library as an Example. In the Computing and Computer Science Section, I searched for ‘Internet’ and it’s displaying the results as shown in the following screenshot. I noted that I took some time longer than usual to find the results. This Deep Web Search Engine one of the Best ever website I have ever found on the Internet which impressed me in the first visit. As mentioned, it is computational knowledge search engine which will show you the results based on the things related to calculation and computational things. 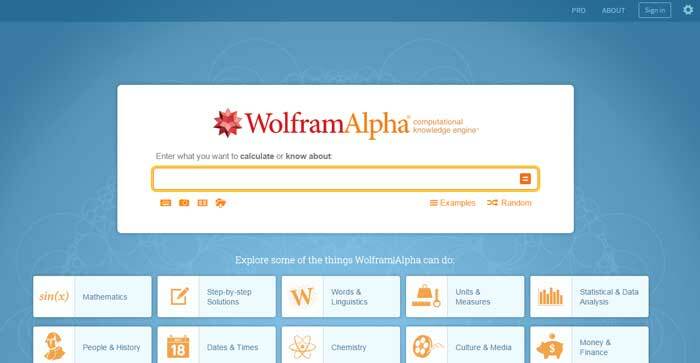 On the official homepage, there have given a lot of things that we can do with Wolfram Alpha. Some of them are mentioned below. Mathematics, Step by Step Solutions, Statistical & Data Analysis, History, Media, Finance, Physics, Engineering, Geography, Chemistry, Education, Web and Computers and much more. 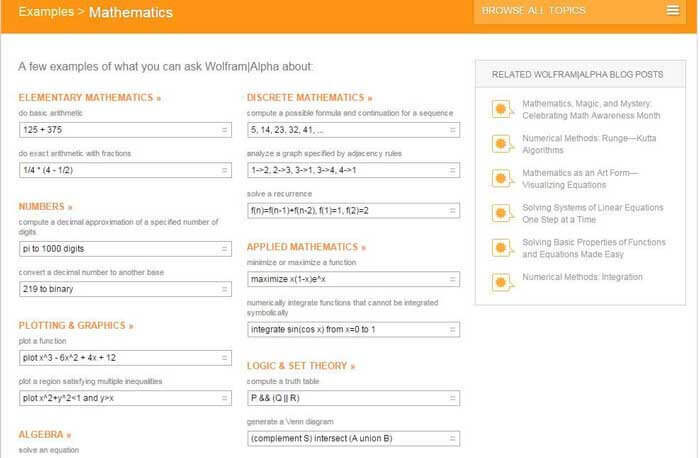 Here is an example search made in the Mathematics section of the Wolfram Alpha Deep Web Search Engine. Google Books may also be considered as one of the biggest deep web database. Google Books contains the collection of thousands of full text books from all over the world libraries. It is a digital library of Works. According to a source, Google has scanned more than 25 million books which may be available via Google Books. You can image from this count how vast the library of Google books is. They have a lot of plans to scan as many books as they can. The vastness of Google Books surprised. It may be called as the biggest collection of Books ever present in this world. Here below, I have added up a screenshot in which I have made a search on Google Books Deep Web Search Engine. I made this search, India. 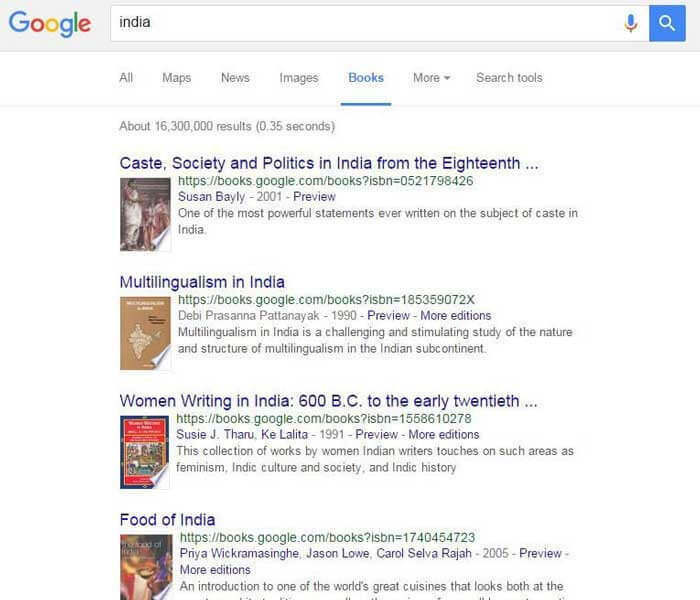 You can see it is displaying some full text books regarding the searched keyword India. This is one another example of the Deep Web Search Engine. In this deep web search engine, you may browse multiple other deep web search engines such as the science.gov. Science.gov is also one of the most popular deep web search engine where you can find the information and resources related to US federal science. Let us make the search of keyword, “Solar System” on the Deep Web Search Engine, Deep Web Tech and see what it displays up. Here below is the screenshot of what it displays up. 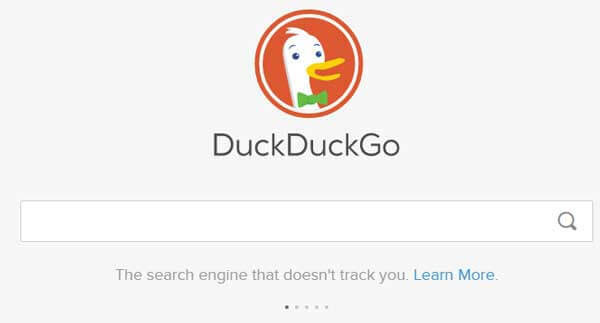 DuckDuckGo Completely looks like a Normal Search Engine but is very much useful if used as a Deep Web Search Engine. 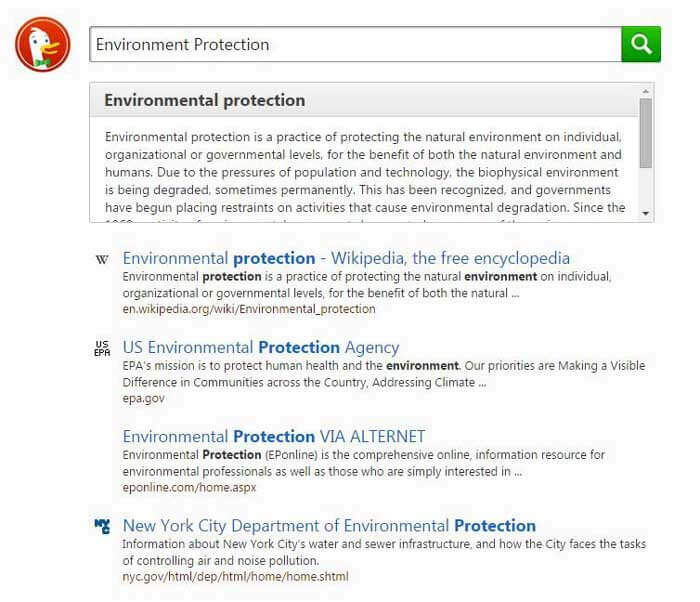 I am searching DuckDuckGo for the keyword, “Environment Protection” and here below is the screenshot of the results what it displays up. The Hidden Wiki is one of the most popular, most frequently used and the first websites most newcomers land on when arriving on, or embarking on the journey of the Deep/Dark web. 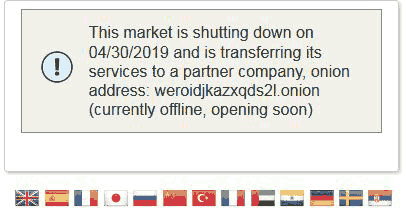 More than a Deep web Search Engine, it’s a Deep web links‘ index, a page which lists over hundred deep web (.onion links). 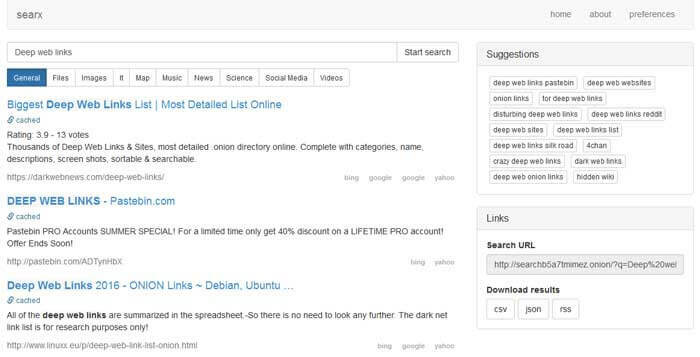 Any page which indexes .onion URLs, or anything related to the Deep/Dark web can be considered a Deep web search engine, well by that definition The Hidden Wiki fits right in. It lists the URLs along with a description of what the sites offer helping users know what they’re getting into before actually clicking on the links. The links are well-organized into categories such as E-mails, Markets, Financial services and so on. additionally, there’s also a category-sidebar helping users directly find the types of sites they’re looking for. Although, the directory isn’t updated frequently and hence not all the available links may be functional. You can find a very big list of Deep Web Search engines to browse on the Internet by searching in simple means. However, I always find simple surfing enough for me to discover the things! Anyways, whatever it is, it is a part of the web. Let’s now conclude our research. Deep Web Search Engines may prove useful if advanced level of search is to be done. For example, the large-scale researches done by many of the companies, organizations and various startups to present a huge amount of data such as the historical data of the Web. For normal or general audience Deep Web is something which may or may not be explored, it doesn’t matter. But still out of curiosity, if you want to explore the hidden world of internet, deep web search engines are always there to help you. Thanks for being here to explore about the world of Deep Web Search Engines.